Who the uzk are you? Wrack, a Tainted creature caught between life and death, still has no answers. As he travels to Flay with his companions, Brin and Avar, more of Wrack’s memories return, and with them, more questions. Who are these Doomed who cursed the world and how is Wrack connected to them? Perhaps the answers lie in the hidden respite of Sanctuary. Among the Shadow Hunters, devotees of the Silver Lady, Wrack finds uneasy acceptance. Acceptance turns to mistrust as he uncovers the dark secret buried beneath Sanctuary, one that threatens the safety of those Wrack holds most dear. In the face of new enemies, when even Wrack’s closest friends begin to question his motives, Wrack must delve deeper into the mystery of his own past. As his history comes to light, Wrack wonders whether he can even trust himself. 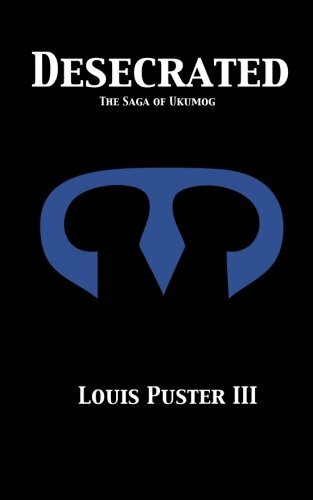 “Desecrated, the second book in The Saga of Ukumog, captured my interest instantly as author Louis Puster III focused on the immediate goal of the main characters within the first words. The tension that resonated at the end of book 1 between Wracked and Brin is as palpable as wood smoke on a mountain breeze in the Prologue to book 2. The idea that there’s more to Wrack, the Tainted One traveling with Brin and Avar, than anyone ever realized kept me on that excitable edge throughout the novel. Each of the mismatched group of travelers had their own agenda but ultimately their goal was cohesive – destroy The Doomed. The love-hate relationship between the warrior-maiden Brin and the more-or-less-than-human Wrack underscores the inner battle that each of the companions faces internally. War is not just fought against the enemy and that struggle for self-awareness and acceptance translates into a believable multi-layered struggle that propelled the story forward. My only disappointment came with feeling that I’d figured out Wrack’s secret too soon and the ending left me feeling unsatisfied – I wanted and expected more from Wrack than Puster gave. Desecrated is perhaps more revealing of Wrack’s companions in this installment of the Saga than Wrack himself. 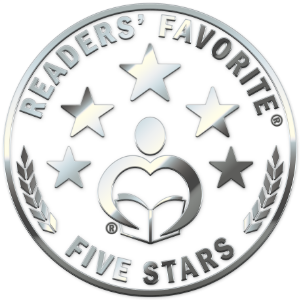 Without a doubt, I am entranced by the characters and their motivations and I’m compelled to read on to discover why certain decisions are made and others are not.